"Kentucky is known for producing huge amounts of corn.... 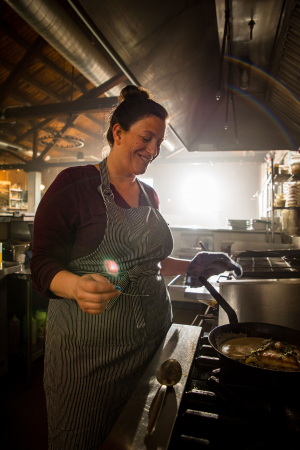 But we never eat it," says chef Sara Bradley, of farm-to-table restaurant Freight House in Paducah, west Kentucky. "Instead, we consume it in liquid form, when it's been made into bourbon." Given this statistic, it's hardly surprising that what first springs to mind when you think of food and drink in Kentucky is bourbon. But there's a much richer culinary heritage to be found in the Bluegrass State, and Bradley – who set up the first farm-to-table restaurant in Paducah, Kentucky – is one of the best people to teach us about it. She tells us about state's varied cooking and incredible produce. How would you describe the food scene in Kentucky? Kentucky is a predominantly rural state, and its food scene is an amazing collective of many regions and traditions. Our cuisine is rich with the foods of mountain coalminers and freshwater fish from the river workers – these days, lots of folks in the food industry are reimagining the traditional foods of labourers and farmers. There's some street food in the cities of Lexington and Louisville – I think the people of Kentucky pride themselves on what they put on the dinner table for their family and friends. We are known for inviting everyone into our home to share a relaxing supper, not so much for quick dining on the streets. How does Kentucky's food differ from the other states in the Deep South? Our food distinguishes itself from the rest of the Southern States thanks to our geography. We use tons of freshwater fish, because Kentucky has more shoreline (if you include lakes and rivers) than even Florida. We also pull from the Midwestern states, the deep South, and the rich Scotch-Irish heritage in the mountains. 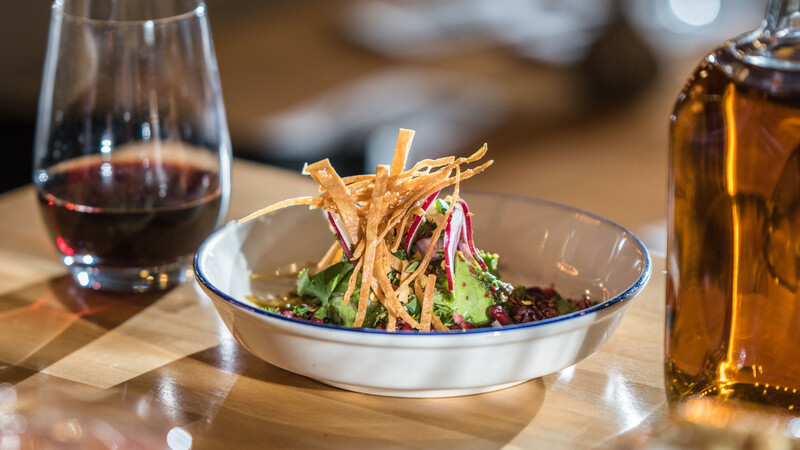 Historically, our food has African and Central American flavours as well. Another important fact about Kentucky's location is that we have four distinct seasons every year and super-fertile land. This plays a huge factor in the production of sweet corn for bourbon and fat pigs for country ham. Is there a dish that defines Kentucky? I think one of the most traditional dishes of the Bluegrass State is the hot brown. It has roots at the Brown Hotel in Louisville and consists of an open-faced sandwich smothered in shaved turkey breast, mornay sauce, sliced tomatoes, and crispy bacon. Every mother in Kentucky has their own rendition of the Hot Brown. In my opinion, any upstanding Kentucky cook should have a hot brown recipe in their back pocket. Soup beans are also a favourite and a very traditional dish. Field peas and shell beans are simmered slowly for a whole day, and lots of people cook them with a ham hock and serve them with cornbread. Are there different foods in different regions? Kentucky doesn't have a ton of street food. Instead, it has BBQ joints. Each region of the state (even each city) prepares theirs differently. Some use mutton, some pork. Everyone builds their smoking pits differently and even maintains their fires differently. In Paducah, where I'm based, we serve chopped shoulder with a vinegar-based sauce on sliced white bread. I think country ham truly speaks to western Kentucky cuisine. The way we do country ham here is like a mixture of prosciutto and speck. We cure the ham bone-in, then smoke it. Lots of folks still cure their hams hanging in barns. Part of what makes this process so unique and possible is our climate. Cold and dry during the winter, hot and wet during the summer. It helps the salt move through the meat. Plus our hogs in the area are lovely. You opened Paducah's first farm-to-table restaurant in 2015; how has Kentucky's food scene changed since then? When I opened Freight House four years ago, our main focus is to promote agricultural sustainability. I like knowing where my money is going. I love seeing it go back into my community. Buying local decreases your environmental footprint, but it also promotes economic development in and around my home. This attitude is something that keeps growing in Kentucky. After 15 years living and in the coastal and Deep South, New York City, and Chicago, I began to see an energy in Kentucky that I didn't remember or recognise from my childhood and I wanted to be part of it. 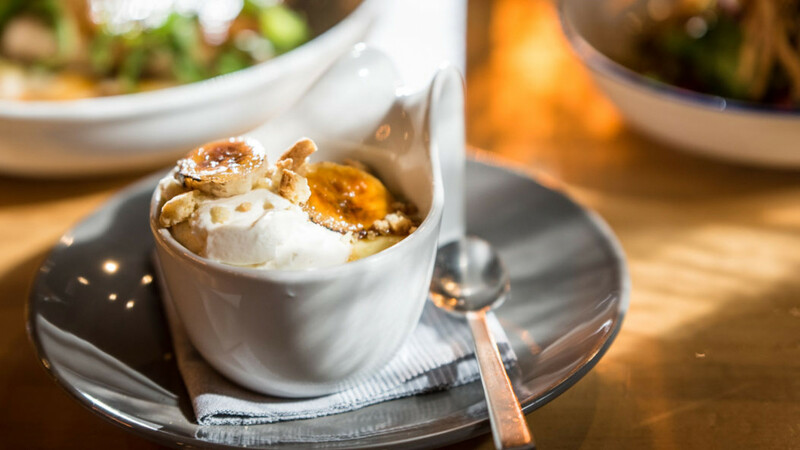 And the food scene keeps growing – we're frequently being featured at James Beard House, and Kentucky hosted the cooking competition Top Chef this season.